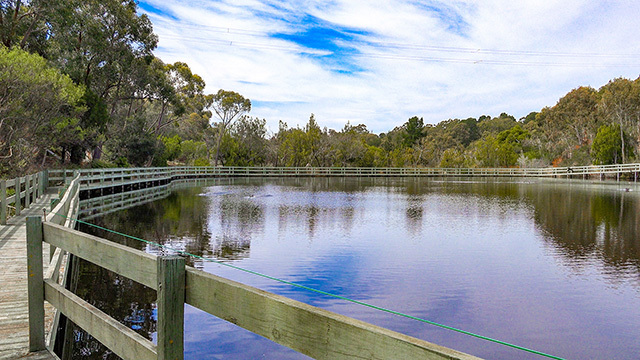 A 90 minute guided tour of Warrawong Wildlife Sanctuary enables visitors to explore the property with an experienced and knowledgeable guide. 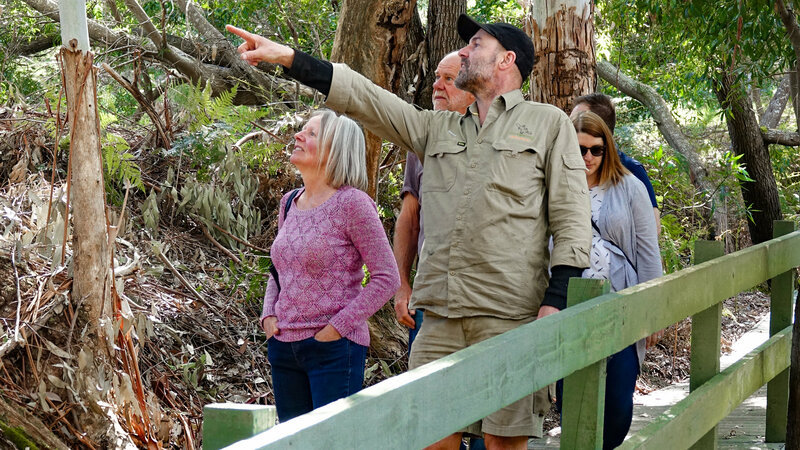 Guided tours cover everything from platypus spotting to the history of Henry Clark’s 1897 cottage ruin. Naturally, the focus of all tours is the abundance of wildlife inhabiting the Sanctuary, although the controversial history of the Sanctuary often draws many questions. Depending on the time of day, visitors can look forward to seeing a variety of Australian animals including platypus, koalas, kangaroos, wallabies, bettongs, potoroos, possums, plus up to 40 of the 110 bird species sighted at the Sanctuary, some of which are extremely rare and endangered. Feel free to arrive early and leave late, as you can always relax in the Warrawong Coffee Lounge. There have been regular sightings of platypus right outside the Lounge window. If you want to make a day of it at the Sanctuary, you can always book one of our exceptional, hands on, Animal Presentations or indulge yourself with one of our behind the scenes Animal Encounters. There’s so much to see and do at Warrawong, you could stay here all day. View all the Warrawong offerings on our Book online page or use the portal on each page to make a booking. Of course, if you’d prefer, you can always call us with your enquiry: +61 8 8423 6030. We’re here to help. Dawn guided tours at Warrawong Wildlife Sanctuary last 90 minutes. They are a wonderful experience, with the golden rays of first light drenching the often dew covered landscape. There have been sightings of 110 bird species at the sanctuary, so imagine the splendour of the morning chorus ringing through the valley. Dawn is also a great time to see the kangaroos, wallabies, and other marsupials grazing on the grassland. When your guided tour is over, you can relax in the Warrawong Coffee Lounge, recount the morning’s events, and even update your social media, to the envy of your friends. Dawn guided tours of the Sanctuary are only available for pre-booked groups of 6 people or more. View all the Warrawong offerings on our Book online page. Of course, if you’d prefer, you can always call us with your enquiry: +61 8 8423 6030. We’re here to help. The famous guided dusk tours at Warrawong Wildlife Sanctuary last 90 minutes. They are a contemporary version of the original 1985 tours. These tours evolved over time, as more land was purchased, and new animals and plants were rehomed at the Sanctuary. Thanks to the generosity of a former Sanctuary manager, the 2006 “Guide Training Manual” is now returned to its rightful home. If, before your tour, you want to soak up more of the tranquillity at the Sanctuary you can always book one of our exceptional, hands on, Animal Presentations or indulge yourself with one of our behind the scenes Animal Encounters. There’s so much to see and do at Warrawong, you could stay here all day. Dusk guided tours of the Sanctuary are only available for pre-booked groups of 6 people or more.